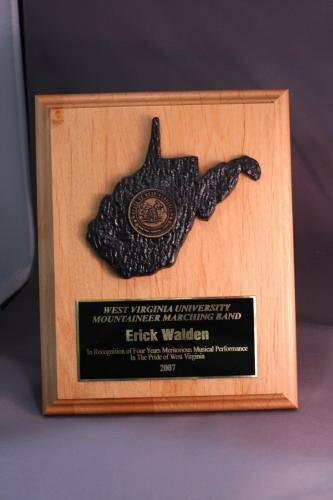 Awards made in West Virginia and West Virginia themed awards. 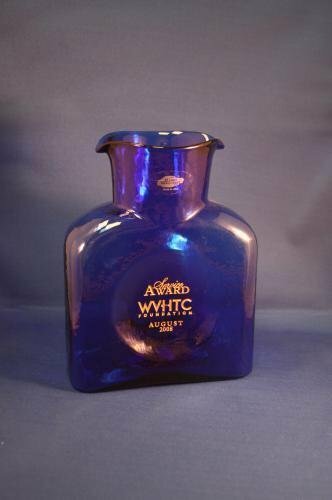 West Virginia made Blenko glass watter bottle 8" tall with etched logo on one side. Color fill options are gold or silver. Blenko Mini water bottle 6"
3" coal cast coal bucket on walnut base. Overall height roughly 4". 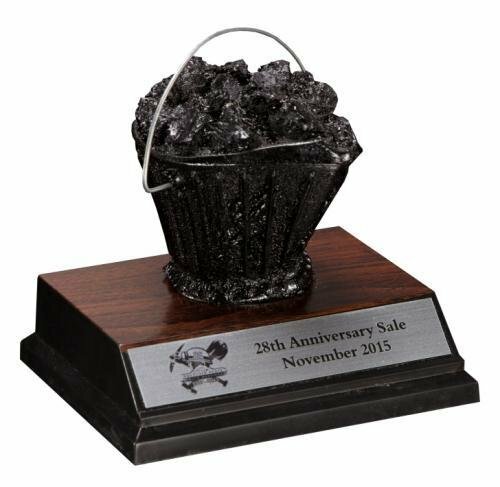 10" Coal cast coal miner on walnut base. Overall height roughly 12.5". 9" coal cast mountain man on walnut base. Overall height roughly 11.5". Ron Hinkle Glass bowl. Etching is included in the price. Made in West Virginia. Due to the nature of handmade items, coloring and patterns may vary from piece to piece. Gold or silver filll available. 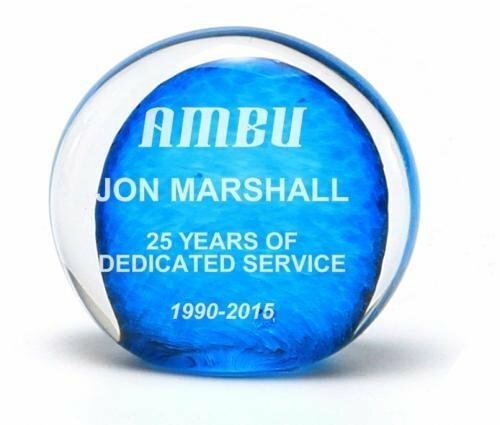 Ron Hinkle Glass paperweight. Etching is included in the price. Made in West Virginia. 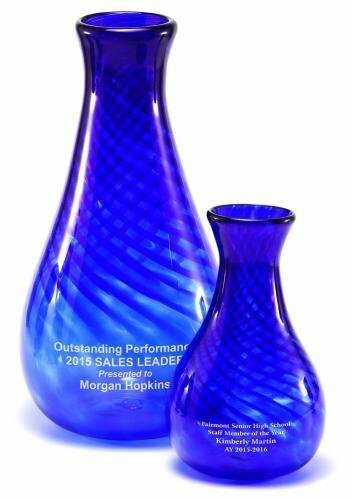 Ron Hinkle Glass vase. Two sizes available. Etching is included in the price. Made in West Virginia. 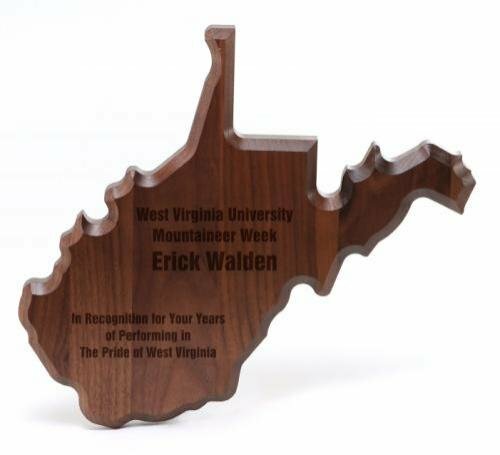 10.5" West Virginia state outline walnut plaque. 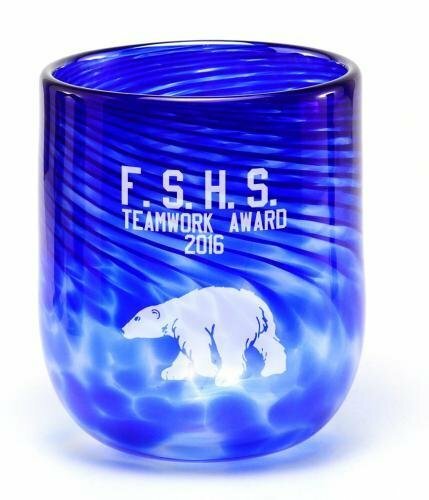 Personalization lasered directly into wood. 8" x 10" Alder plaque board with 3D West Virginia coal cast state relief with brass plate.